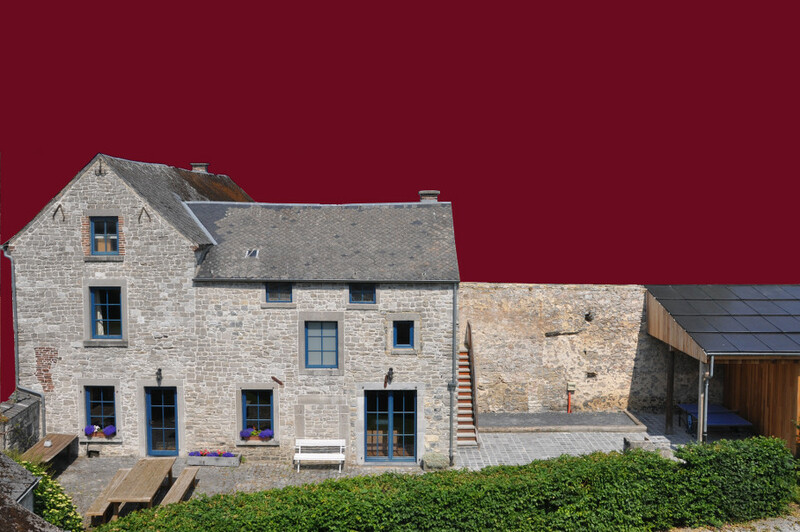 We offer a holiday cottage in the countryside in the Namur region. 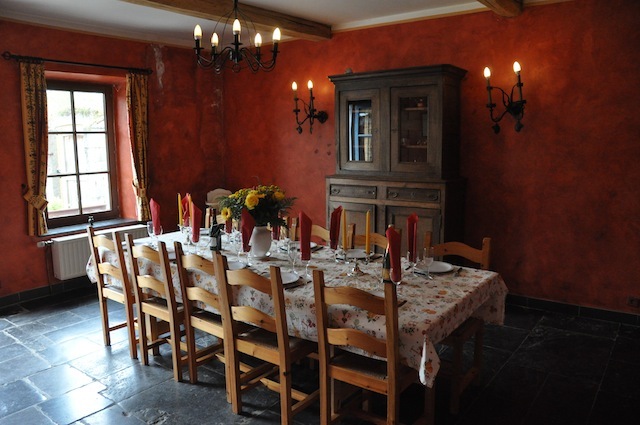 This holiday cottage for 12 persons is 6 kilometers from Namur, capital of Wallonia. This building is built with regional blue stone, dates from the early 18th century and is beautifully restored in the style of the time. The ground floor consists of a dining room, a living room with fireplace, a large kitchen, a cloakroom and toilet. 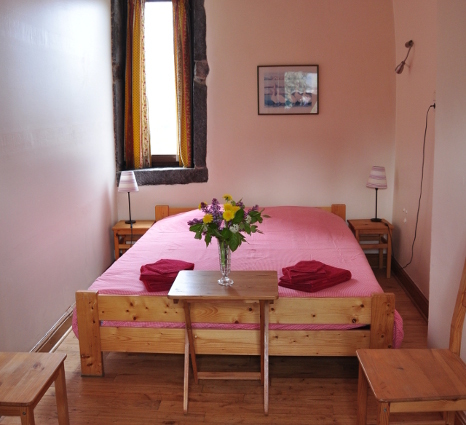 The first floor consists of 5 bedrooms; 2 bedrooms with 2 single beds, 2 bedrooms with 1 double bed and 1 room for 4 people with 2 bunk beds, 1 baby bed, 2 bathrooms with bath and shower and two toilets. The garden is closed to prying eyes, facing south. It includes garden furniture, a barbecue, a covered terrace and a Ping-Pong table. A large table surrounded by 12 chairs and a baby highchair. 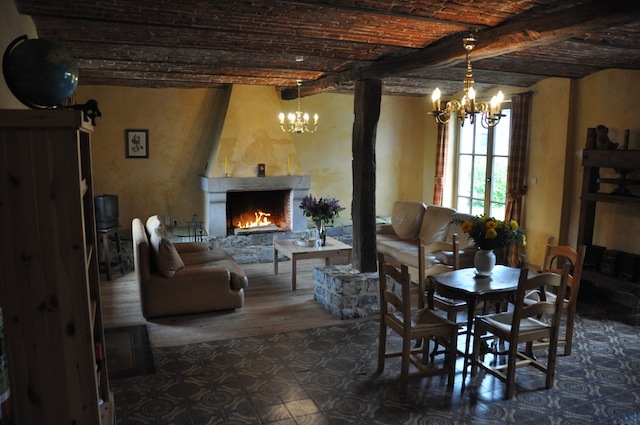 Sit back and relax in the comfortable sofas around the fire crackling in the fireplace. 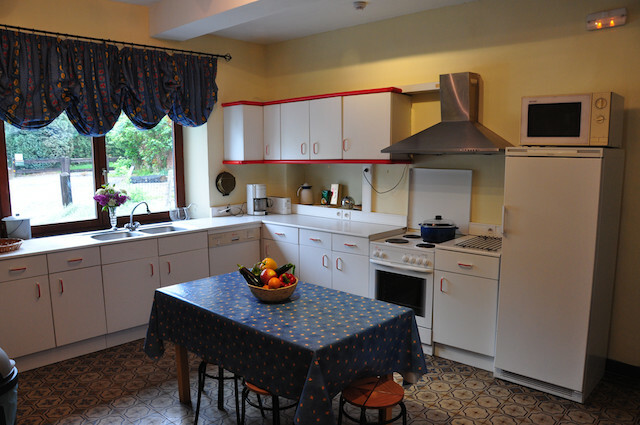 Cooking is a pleasure in such a large and bright room. 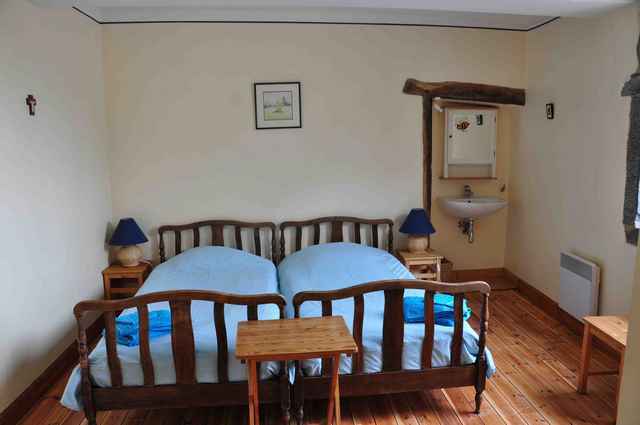 Room with a double bed and views over the countryside. Sink in the room. 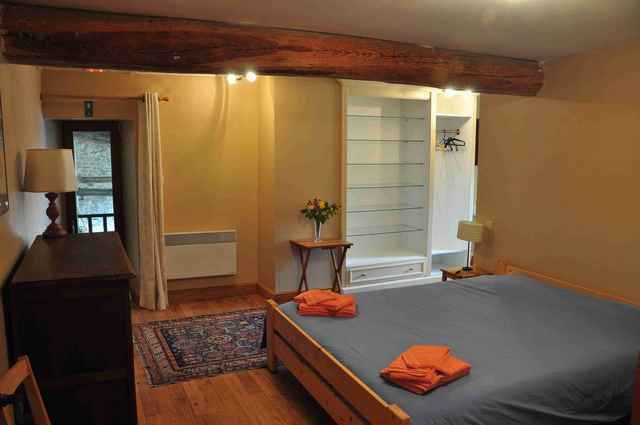 Room with two single beds and views over the countryside. Sink in the room. 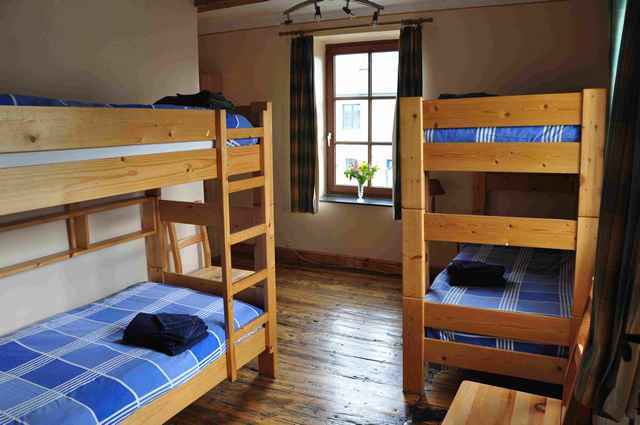 The room with two bunks. 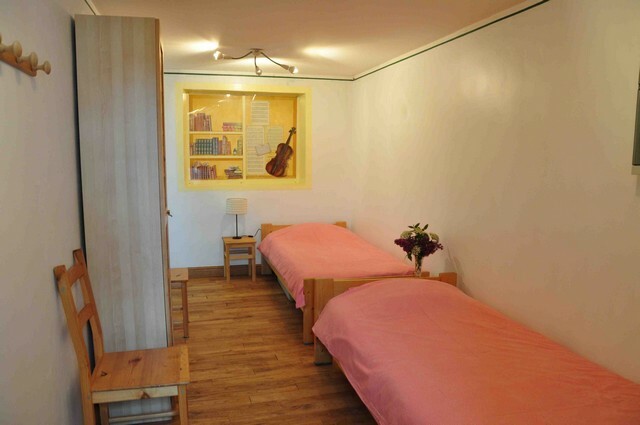 Four young people can stay in those four beds. Sink in the room. Bathroom with a bath and a shower. 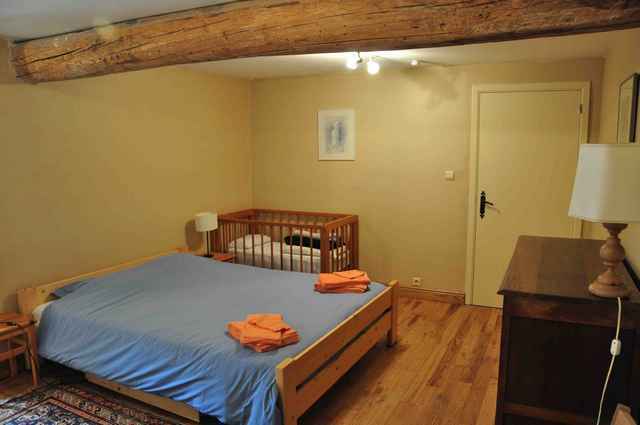 Room with two single beds. 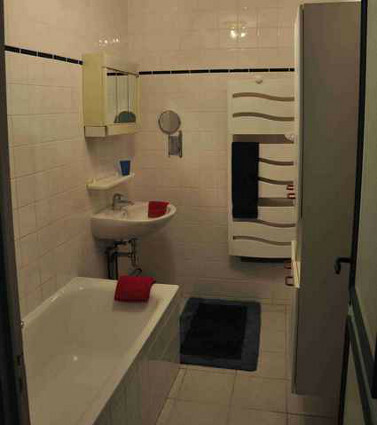 This room communicates with the second bathroom and with the bedroom called “the patriarch”. 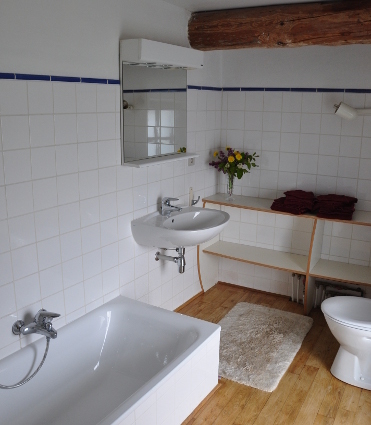 Bathroom with bath, shower, toilet and sink. Adjoining the violin bedroom. It contains a cot and a sink. The weekend starts Friday at 5 pm and ends on Monday at 10 am. The week starts Friday at 5 pm and ends the following Friday at 10 am. Mid-week starts on Monday at 5 pm and ends on Friday at 10 am. Charges according to consumption : During summer (May 1 to September 31), provision of 25 € a day, in winter, 35 € a day. Tourist taxes : The tax rate is € 1.24 per adult person per day. Charges according to consumption : During summer (May 1 to September 31), provision of 25 € a day, in winter, 40 € a day. Riding: riding within 5 km. Are you interested in our house? Do you have a question? © 2013 - 2018 namurgite.be. All rights reserved.